The color and design match was perfect! 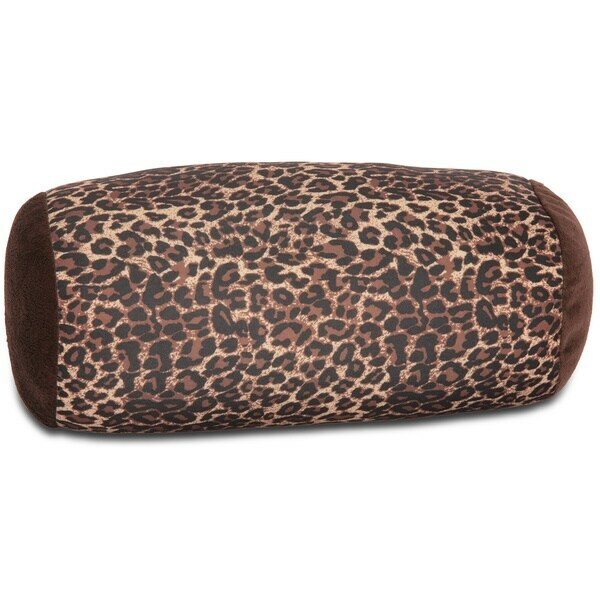 Cozy up to comfort with this neck roll pillow from Squishy Mooshi. This mini neck roll pillow is filled with microbeads that shift and conform to the unique shape of your head, neck, and shoulders to help you get comfortable during naptime. The cover of the pillow features polyester and cotton construction for a soft, sleek feel against your skin. Came up a little short, but I still love it! I wanted a neck pillow that was very "squishy" as the name implies, and this was perfect for providing comfort to my neck while in my recliner. The only complaint is that it was not quite as long (or wide) as the photo indicated, but that was my fault for not reading the dimensions. Great product. This pillow is easy to use for sleeping or for any way you can use a pillow. The micro beads mold well and keeps it in place. I wouldn't say it's a mini size but more of a bolster size which makes it so easy to use for your comfort. Love it! Just as advertised, maybe a little more stuffed. Great for my neck! I bought two of these pillows when I went on two different cruises and I love them. I have always had neck/back issues and this pillow helps keep my neck from getting in a cramp when I am sleeping. Love them!